No matter your age, having a pet is an amazing experience. However, if there is a group of people who can benefit from the company of a furry friend the most, it would certainly be seniors. Pets provide companionship, motivation and various health benefits. There is a variety of different scientific studies that show positive impact pets have on human health and wellbeing. One of these studies found that as little as 15 minutes spent with an animal can reduce pain perception. Pets boost our body’s natural painkillers, endorphins, which help people suffering from chronic pain feel less pain and take less medication. Additionally, just taking care of another living being can offer ample distraction from the pain. In a recent scientific study, scientists actually proved that having a pet lowers blood pressure in their owners. Sitting and petting an animal has strong therapeutic effects. It lowers stress levels and blood pressure and provides a pleasant tactile feeling. It’s just like therapy, both for the owner and the pet! Some pets have very sensitive noses and can smell many health changes even before the owner feels them. For instance, some dogs can sense irregular blood sugar levels from their owner’s breath and can alert the owner. Other dogs can sense when their owner is having a seizure or an anxiety attack. This ability is especially useful for seniors who live alone and have health issues. 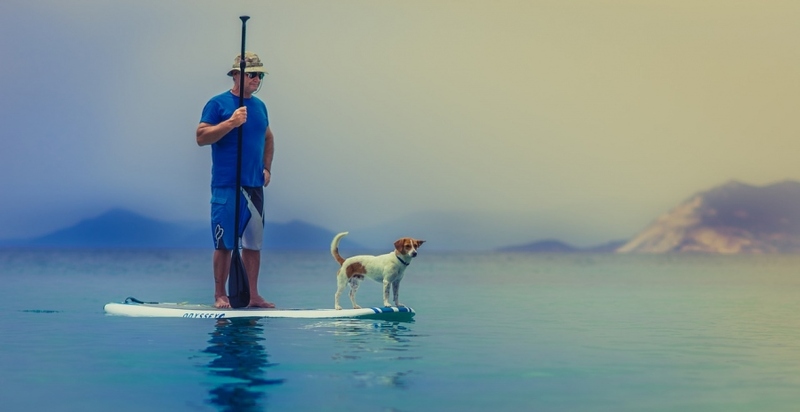 One of the biggest advantages of having a pet, especially a dog, is the exercise factor. 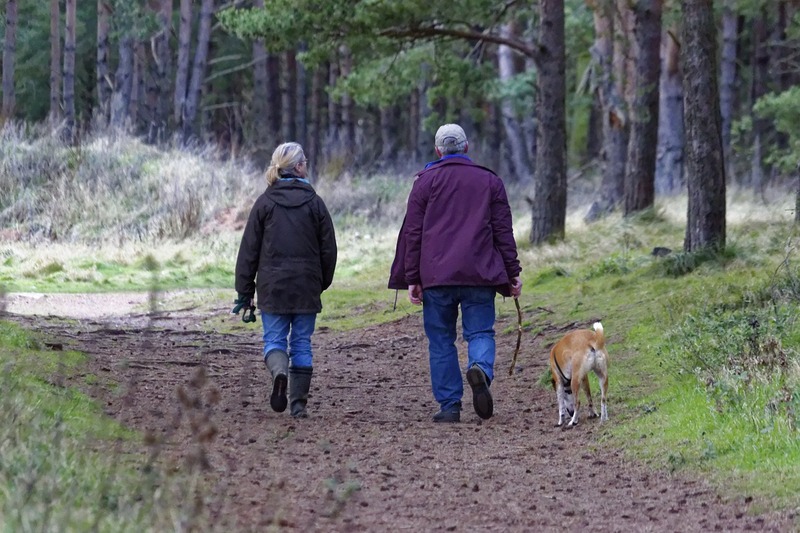 Getting a dog that needs regular walks is a great way to help senior owners go out of the house and get some physical activity. Even taking a few steps when taking them outside for a potty break will make a difference in their physical and mental health. My grandma now takes her pooch outside every day, sometimes just to the yard, sometimes for a longer walk, but she never misses a day to get some exercise, sun and fresh air. There are even some seniors who started a small dog walking business that provides them with ample exercise, sense of usefulness and earns them some extra money. A pet of any kind requires a lot of attention and it is the happiest and healthiest when it has a strict schedule. For instance, dogs have to have regular potty breaks and cats need at least two meals a day, and these routines should be tightly scheduled. Seniors will also benefit from having a routine like this, which is another reason for older people to have a pet. Having a pet to take care of certainly affects the way we think and care about ourselves. 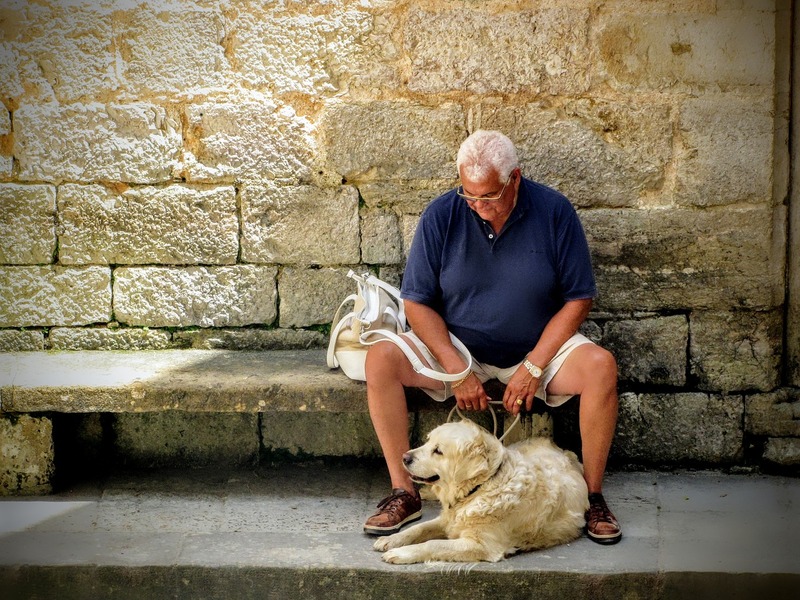 Seniors with pets are known to take much better care of their own health as well as their pets’. For instance, when my grandma’s dog got diagnosed with having an extremely sensitive stomach, she started feeding him only holistic Black Hawk dog food. Eventually, It got her reconsidering her own eating habits. If their pets have to follow a certain health plan or eat certain healthy foods, seniors will more easily accept that they also have special needs and specific health requirements. Pets can also improve mental sharpness, so seniors with pets are actually less likely to forget preparing a meal, drinking enough water and taking their meds on time. 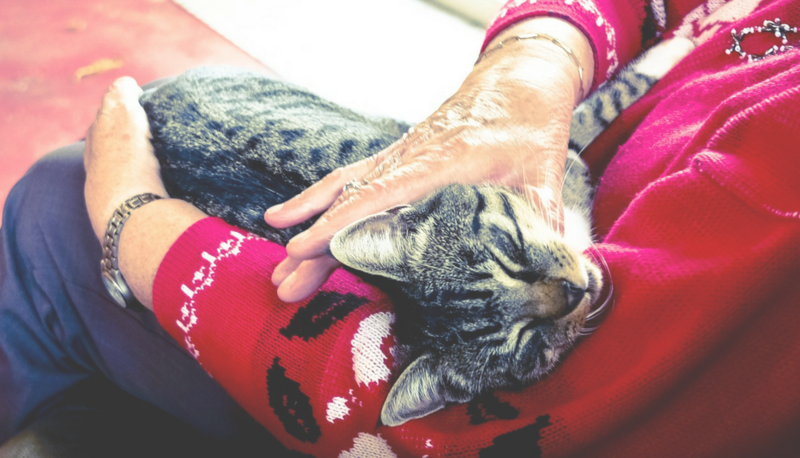 Pets also promote social interaction, which is something many seniors lack in their lives. Dogs are naturally friendly and social, and they can spark the interest of their owners to seek company as well. For instance, some people tend to have “coffee dates” with their pets and go out to town. Others regularly take their dogs to a local dog park and use to opportunity to chat and exchange pet experiences with their fellow dog owners. People who take their dogs to obedience classes have a weekly opportunity to meet new and interesting people and pets. This is a great way to go out, get some fresh air and meet people with similar interests. Pets are amazing conversation starters! Dogs and cats can be very silly and joyful and their playful nature can affect human behaviour and mood. Their behaviour can be very contagious and brighten even the gloomiest of days, especially for seniors who experience depression and anxiety. Nothing can put a smile on my grammy’s face like her pup running around the house! Pets also provide company to their owners, especially those who live alone, are house-bound and have little social interaction. Every pet owner will tell you that they have a strong bond with their dog—almost all of them talk to their pet, confide in them and feel at ease knowing they are not alone. Some big dogs can also provide great protection and send any intruder on their way. If you’re searching for a furry companion for yourself or a senior in your life, know that you’re making a great decision. Pets offer so many physical, emotional and social benefits that will make the golden years even more pleasant.